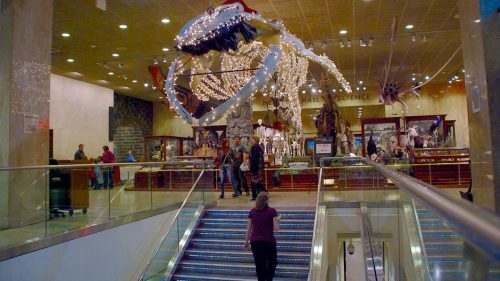 Visit the Milwaukee Public Museum, the fifth largest natural history museum in the country. Enjoy three floors of exhibits including the nostalgic Streets of Old Milwaukee and the European Village. Explore the Costa Rican Rainforest and the Continents of the World. Marvel at the authentic costumes and artifacts of Native Americans. Be awed and mystified by the “Temples, Tells and Tombs” exhibit. While at the Museum Center, enjoy an IMAX film or Planetarium show at the Humphrey IMAX Theatre/Daniel F. Soref Planetarium. Lunch today can be enjoyed at the Museum Center at the Café Costa Rica on your own or plan a wonderful luncheon in a private museum setting or lunch at one of Milwaukee’s local downtown restaurants. 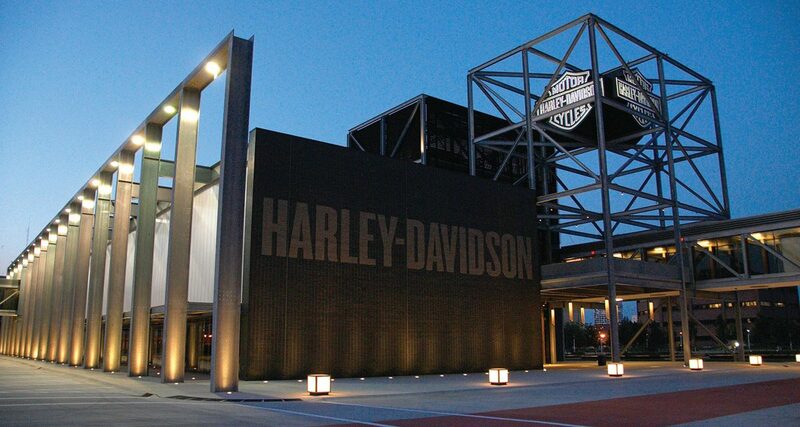 The Harley-Davidson Museum is the only one of its kind in the world and offers guided tours that provide history as well as a backroads tour with some behind-the-scenes areas which include the Harley-Davidson Archives. 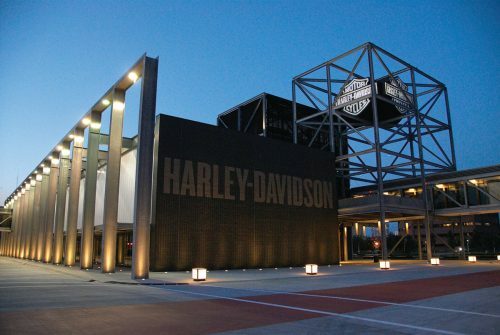 Your group will enjoy the Jumpstart™ which puts riders and non-riders in the saddle of a running Harley-Davidson motorcycle. A great photo opportunity for everyone. Or visit the Milwaukee Art Museum – four floors of over forty galleries of art that are rotated regularly with works from antiquity to the present in the Museum’s far-reaching Collection. Included in the Collection are 15th to 20th century European and 17th to 20th century American paintings, sculpture, prints, drawings, decorative arts, photographs, and folk and self-taught art. Among the best in the nation are the museum’s holding of American decorative arts, German Expressionism, folk and Haitian art, and American art after 1960. The museum also holds one of the largest collections of works by Wisconsin native Georgia O’Keeffe. The graceful Quadracci Pavilion is a sculptural, postmodern addition to the Milwaukee Art Museum completed in 2001, designed by Spanish architect Santiago Calatrava. Windhover Hall is the grand entrance hall for the Quadracci Pavilion. It is Calatrava’s postmodern interpretation of a Gothic cathedral, complete with flying buttresses, pointed arches, ribbed vaults, and a central nave topped by a 90-foot-high glass roof. An average-sized, two-story family home would fit comfortably inside the reception hall. The museum’s signature wings, the Burke Brise Soleil, form a moveable sunscreen with a 217-foot wingspan. The brise soleil is made up of 72 steel fins, ranging in length from 26 to 105 feet. The wings open at 10 a.m. in accordance with regular days of operation, close/reopen at noon and close at 5 p.m. (8 p.m. on Thursdays) dependent on weather. Option 1: The Pabst Mansion, home to beer baron Frederick J. Pabst, was designed by George Bowman Ferry and Alfred Charles Clas. Construction at 2000 Grand Avenue lasted two years and was completed in July of 1892 at a cost of just over $254,000 – including the house, furnishings and artwork. As leading figures in Milwaukee society, Captain Pabst and his wife, Maria, became consummate art collectors, filling their mansion with priceless treasures. After the Pabst descendants sold the house in 1908, it became the archbishop’s residence and the center of the Roman Catholic Archdiocese of Milwaukee for more than 60 years. 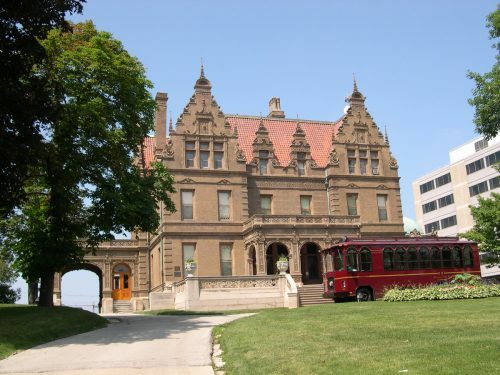 Bring your groups to experience this award-winning historic museum and one of Milwaukee’s great architectural landmarks. Groups of all interests are welcome. Groups of 15+ receive a 75 minute guided tour, up to two free admissions for tour leaders and discounted rates. After you have absorbed all the elegance of the Pabst Mansion’s interiors head over to the brewery for more Pabst history. Best Place at the historic Pabst Brewery takes you back to 1844 to tell how the small Best & Company brewery transformed into the Pabst Brewing Company. Step into the Captain’s Courtyard and take a picture with Captain Pabst. See Blue Ribbon Hall, the King’s Courtyard and visit the Vintage Gift Shop. Complete your tour with a sampling of Pabst in the Best Place Tavern. Option 2: Or visit the Grohmann Museum, which houses the 100 European and American paintings and sculptures (1580-present) in the Man at Work Collection, the world’s most comprehensive collection documenting the evolution of organized work. The museum has three floors of galleries where a core collection is displayed along with feature exhibitions. The museum also has a rooftop sculpture garden containing a dozen large, bronze sculptures – men toiling in the field and foundry, heaving hammers or pinching molten metal with hot tongs – perched on the roofline of the Grohmann Museum. These fellows, each about nine feet tall and weighing in at 1,000 pounds apiece, have a commanding view of a city that was built on the hard work they depict. A great vantage point for your group to view the city and enjoy the green roof and the hand-painted mural located atop the museum.